Senior advocate and Aam Aadmi Party leader HS Phoolka, who is fighting the legal battle for the 1984 anti-Sikh riots victims, resigned from the party Thursday. The move comes amid speculation of a possible alliance between the Congress and the AAP for the 2019 Lok Sabha polls. In a tweet, Phoolka said he will explain the reason behind his decision in a press briefing in Delhi Friday. "I have resigned from AAP & handed over resignation to Kejriwalji today. Though he asked me not to resign but I insisted. Will be briefing media tomorrow at 4pm at Press Club, Raisina Rd, New Delhi to explain the Reason of leaving AAP & my further plans," he wrote on Twitter. In October, the lawyer-turned-politician had resigned as an AAP MLA -- he represented Ludhiana's Dakha constituency -- to press for immediate action against those accused in the sacrilege cases that rocked Punjab in 2015. He had quit as a lawmaker claiming that the Congress government in Punjab had not taken desired action against those named in the Justice Ranjit Singh Commission report on the sacrilege incidents. The AAP has not trashed alliance prospects with the Congress, saying its political affairs committee will take a call after considering opinions of its leaders and workers from Delhi, Punjab and Haryana. In a meeting with party's national convener Arvind Kejriwal earlier in the day in New Delhi, a section of AAP leaders and workers from Punjab expressed concerns about any possible alliance with the Congress. The AAP is the principal opposition party in Punjab. But of the 20 party candidates who were elected after the Punjab assembly polls in 2017, eight formed a rebel group, led by Sukhpal Singh Khaira, last year. Phoolka had also resigned as the Leader of Opposition in the Punjab Assembly so that he could represent victims of the 1984 anti-Sikh riots in courts. 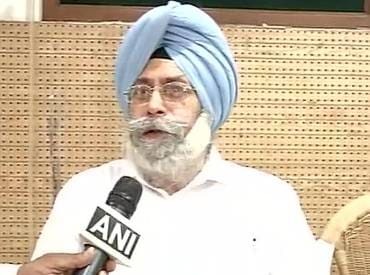 Sources claimed, Phoolka may join another political party but there was no immediate confirmation from him.